Atlanta, GA, June 29, 2018 --(PR.com)-- The Government Contractors Association (GCA) is pleased to announce that as of July 1, 2018, Myra Cisse will take over as President of the organization’s Georgia operations. Myra Cisse has served the organization as a certification SME and the VP of Service Delivery since 2015. “It is with great honor to install Myra Cisse as the new President of GCA-Georgia. 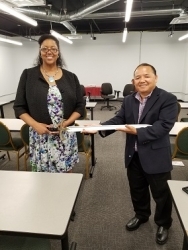 Her love for the government market and her passion to advocate for small businesses will serve the government contracting community well.” – Abraham Xiong, President GCA-National. GCA is a membership organization with a mission to Educate | Facilitate | Advocate for Small Business owners. Their vision is to create access for small business owners to reach decision makers at government agencies through special events. At their headquarters in DeKalb county, GCA hosts weekly workshops, monthly association meetings, training boot camps and special events. All of GCA’s programming is designed to teach their members and clients how to win government contracts. The DeKalb county HQ is also home to Origin: A Co-Working Space, where the organization provides office space to local businesses. Under Myra’s leadership, the organization will continue its tradition of quality programming beginning with the Heavy Hitters and Big Spenders event on August 22, 2018. 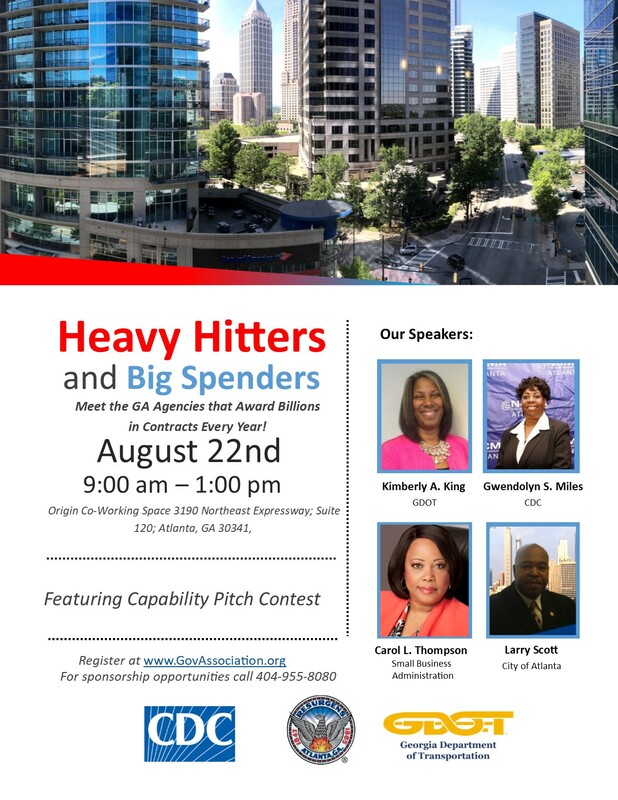 This event is a part of GCA’s new Small Business Connection Series and will feature Carol Thompson, Director of U.S. Small Business Administration Office of Government Contracting - Area III; Kimberly King, Equal Employment Director at Georgia Department of Transportation; Gwendolyn Miles, Small Business Specialist at HHS Centers for Disease Control; and Larry Scott, Director at the Office of Contract Compliance with City of Atlanta. During the event, GCA will host its first annual Capability Pitch Contest. This will provide the small business community an opportunity to pitch their business for 5 minutes to the decision makers listed above as well as a panel of judges to include J.E. Dunn Construction, General Services Administration, Aerotropolis Atlanta and Women in Defense.